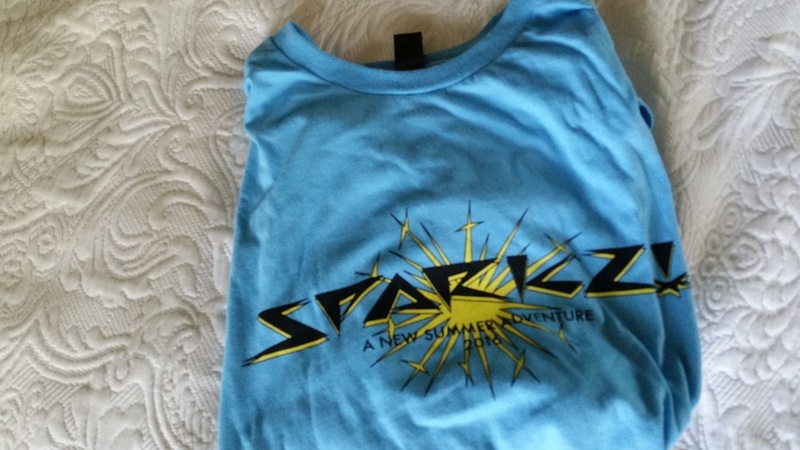 For the community service portion of my residency I helped out with Sparkz (Spark Z? 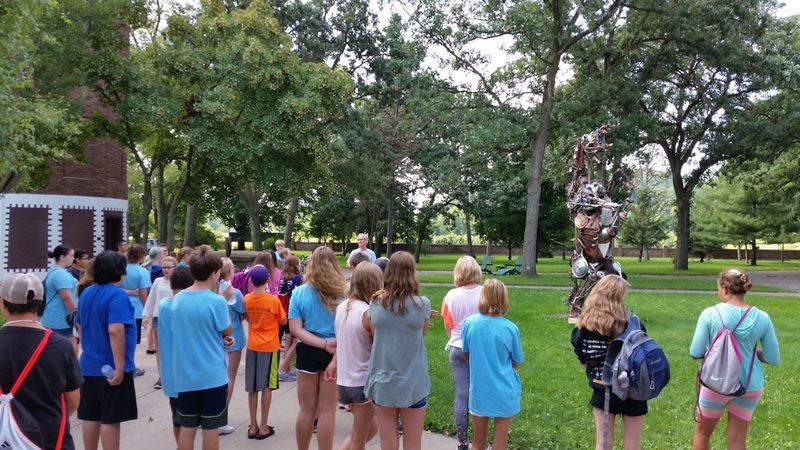 ), a summer camp held here at the Anderson Center by some of the teachers in Red Wing. This week is art week for them, so two of the other residents and I talked a little bit about our art and our practice, and then the rest of the morning was spent painting in the grass under the trees. The 7th and 8th graders collaborated in small groups to create a painting on large boards that we provided, while we assisted and answered questions. Art Kenyon, who is a permanent resident here, and my next door neighbor in the studio building, organized the whole day and provided the materials.